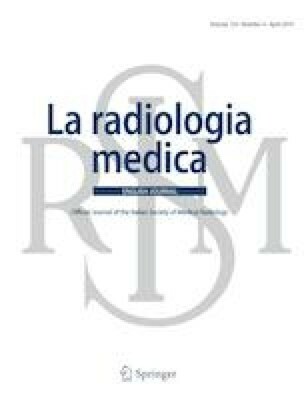 To assess the outcome of malignant pleural mesothelioma patients treated with extra-pleural pneumonectomy (EPP) and adjuvant radiotherapy (RT), using the most advanced radiotherapeutic techniques, namely image-guided intensity-modulated RT (IG-IMRT). Fifty-four patients were analyzed. Minimum radiation dose was 50 Gy (2 Gy/fr). Planning target volume encompassed the entire hemithorax, including the ipsilateral mediastinum if interested by disease, the pericardium and diaphragm, and any drain sites. The study endpoints included loco-regional control (LRC), distant metastases free survival (DMFS), and overall survival (OS), as well as radiation-related toxicity. Major patients and treatment characteristics were the following: median age 62 years, epithelioid histology in 51 (94%) cases, locally advanced disease in 41 (90%) cases, and metastatic mediastinal lymph nodes in 27 patients (50%). Only 7 patients (13%) had gross residual disease after surgery. Chemotherapy was administered in 38 patients (70%). Median follow-up was 16 months (range 0–73 months). Median and 2-year OS were 21 months and was 43.8%, respectively. The predominant pattern of failure was distant: 34 patients (62.9%) developed some component of distant failure, and only 5 patients (9.2%) developed an isolated loco-regional recurrence. The estimates of LRC and DMFS at 2 years were 63.4% and 43.4%, respectively. Three fatal pneumonitis were documented. Other major toxicities included: Grade 2 and 3 pneumonitis in 1 and 2 cases, respectively, 1 case of bronchial fistula, pleural empyema, and Grade 3 esophagitis, respectively. Although executed in the era of high-technology radiotherapy (IG-IMRT), EPP should not be routinely performed.